Give the gift of green with a wide range of terrarium plants! These mini-ecosystems are easy to care and are suitable for all occasions and celebrations. Bring the tropical vibes into the houses of your loved ones with Terrarium plants. Full of life, colors, and vibrancy, every variety of Terrarium plants offer architectural aesthetics to a room. Beautifying every corner, these exotic plants in all types and varieties make sure to nurture everywhere they go. And thus, these have become one of the choicest gifts to give nowadays. No matter if it is new years, Christmas, Diwali, an indoor houseplant have become the means to showcase how much you care and with the festive season around the corner, how about you gift one to your close one and make them bloom and grow in love? Wondering if it would be tough to find one nearby? Well, FlowerAura, the online florist and the leading gift portal of India is all set to help you garner appreciation with its online flower plants and a huge variety of terrarium plants. Along with the opportunity to buy terrarium online, the portal avails to couple you plant with a beautiful pot. And to make your shopping experience a hassle-free one, the plants along with the pots are available right at your fingertips. So, what's with the wait? Shop terrarium online and send it anywhere in India. Often the idea of gifting a houseplant seem intimidating. So much care, regular pruning, plants are often considered as babies who seek ample attention, care, and affection. But what makes Terrarium stand apart from other plants is they are easy to care, require very little nutrients, and suited for a collection of houseplant gardens that grow with ease. And with FlowerAura's online delivery of plants online in India, these can be hand-delivered within a matter of few hours. No matter what's the occasion, a brother's birthday, Woman's day, Mother's day, or Valentine's, Terrarium plants are one fascinating gift that can leave your loved ones jaw-dropped. Each of the Terrarium plants such as ferns, golden pothos, peperomia, spider plant, Zebra plant are statement-making variety and thus, when it comes to nurturing relationships and making your loved ones grow in love, these are the choicest options. Once you've decided the terrarium variety you wish to send, FlowerAura's online portal gives the opportunity to couple with ceramic vases and designer pots and once chosen, these can be sent online via the hassle-free and prompt online plant delivery which avails to deliver terracotta plant pots at the destined doorstep. No, you don't have to go to a nearby plant nursery, as you can find these terrarium plants for sale online here at FlowerAura only. The pocket-friendly prices, free shipping, and an exotic plant variety at fingertips, gifting can be never this easy. 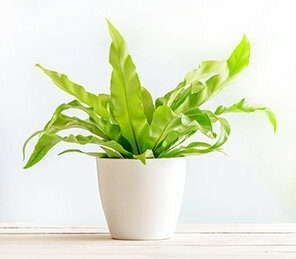 So, order plants online right away and make your loved ones smile wide right away. 1. Pick small pots and the right spot for your plant. 2. Provide ample indirect light. 3. Remove decomposing plant parts as these are unsightly and can cause fungal and bacterial infections. 4. keep your terrarium under control, give plants periodic trims. 5. At the first hint of fungus growth, get rid of it immediately. 6. Allow the top inch of the soil to go dry between waterings and water at the base of each plant using your spray bottle.